Beautifully hand crafted from Sono Wood, this pair of gauged earring plugs has the center carved out in the shape of a mocking jay bird holding an arrow. This unique set of tunnel plugs is fashioned into a top hat design with the section featuring the carved bird masking the ear gauge hole to really make the design pop out. 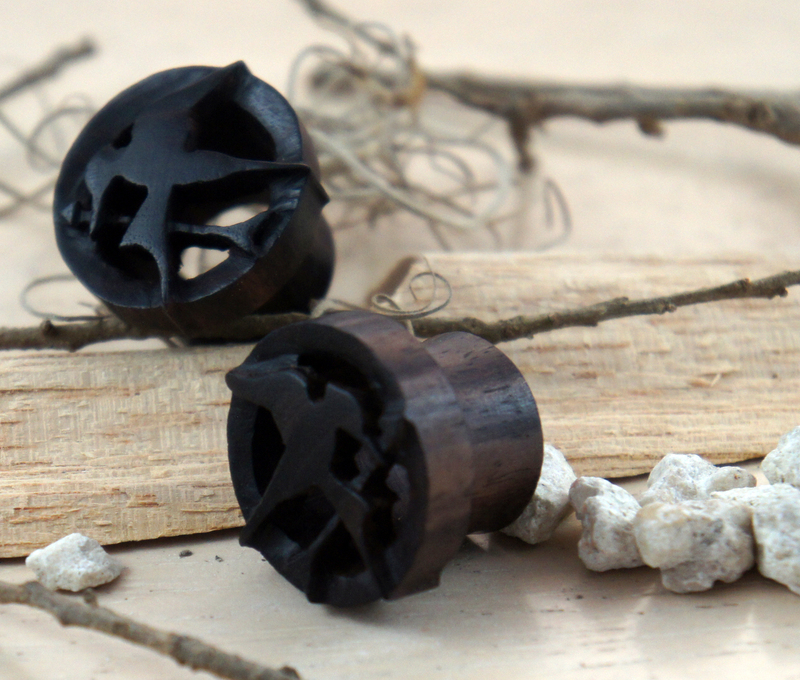 The gauged earrings have a dark rich gradient of black and brown which is characteristic of Sono Wood. We try to carry a wide selection of sizes for our gauge earrings, but if you don't see your size listed please feel free to contact us or check back later since we're constantly restocking or adding new sizes and styles to our line.